Britain’s Linda Lewis was one of the brightest stars of the UK chart of the 70s, her chirpy, effervescent performances a mainstay of music TV shows of the period. 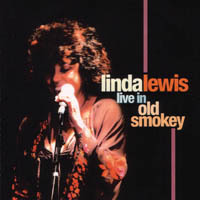 Now, she’s back with a new live album - LINDA LEWIS - “Live in Old Smokey” (Market Square MSMCD141) - coinciding with live dates this March (2006) and the promise of a brand new studio album on the way. 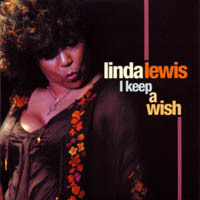 Ahead of her time in many ways, Linda fused seemingly disparate musical elements - folk, soul, pop, rock and reggae - into a totally unique signature sound. With the recent emergence of black female artists cast in a similar stylistic mould - in particular the UK's own Des’ree and the USA's India Arie - the kind of cultural and musical cross-pollination that Linda Lewis pioneered some 30 years ago is now an accepted part of the popular music landscape. So it’s timely to say the least to see her back on the UK stage with a series of live performances including a sell-out run at London’s Ronnie Scott’s Club from which this brand new release on Market Square derives. This fabulous 'come-back' live set from the iconic, chart-topping 70's singer-songwriter showcases some of her best work. Fourteen tracks in total include 'Rock A Doodle Do', 'Grandaddy’s Calypso', 'Sideway Shuffle' and her seminal cover of Gilbert & Sullivan's 'Moon And I' amongst other crowd pleasers from her extensive repertoire. The album also tantalises us with three brand new songs: 'I Keep A Wish', 'I Don't Do Don't' and 'Waving', all precursing a new studio release slated for the end of the year.